For concert photos, click here. The summer concert season is here and started off with a bang, as it was an evening that featured eleven number one singles. 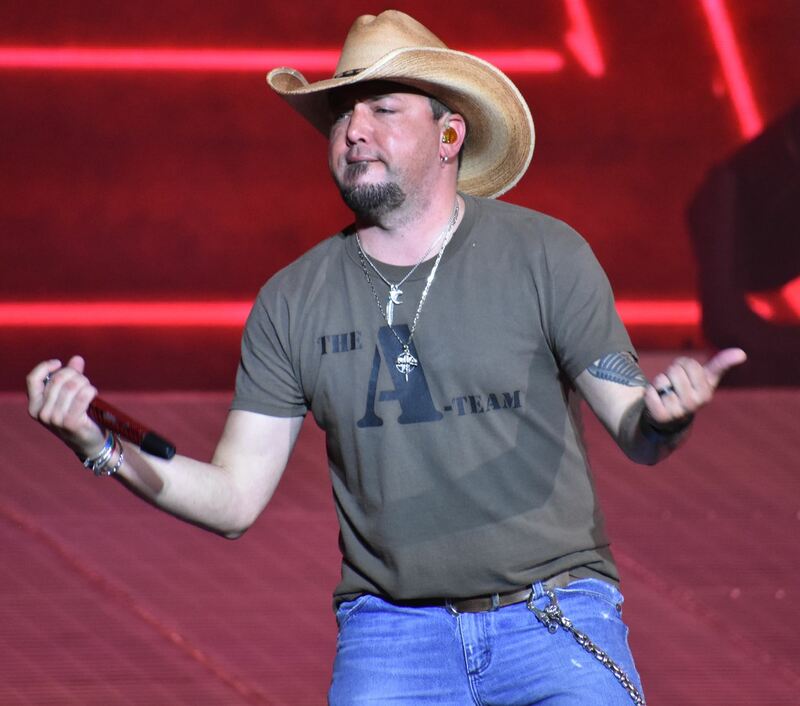 Jason Aldean brought his High Noon Neon Tour to a packed house at St. Louis’ Hollywood Casino Amphitheatre. Aldean brought along Lauren Alaina and Luke Combs to get the festivities started. Then, the set took a somber turn as she talked about some of her struggles in her career so far, including her struggle with breaking into the top 30 on the country charts documented by her song “3.” And finally, wrapping up her set with the deeply personal “Road Less Traveled,” her first number one hit. Next up was Luke Combs. The North Carrollian played a good mix of songs off his album “This One’s for You.” Comb’s set included his hit from last year “When it Rains it Pours” and his current single “One Number Away.” He also dusted off the lighthearted “Sheriff You Want To.” Combs’ closed his set by performing his first number single “Hurricane”, a year to the date after it hit number one on the charts. For his final song of the night, Aldean took the crowd back to his break out single “Hicktown” which put him on the map back in 2005.